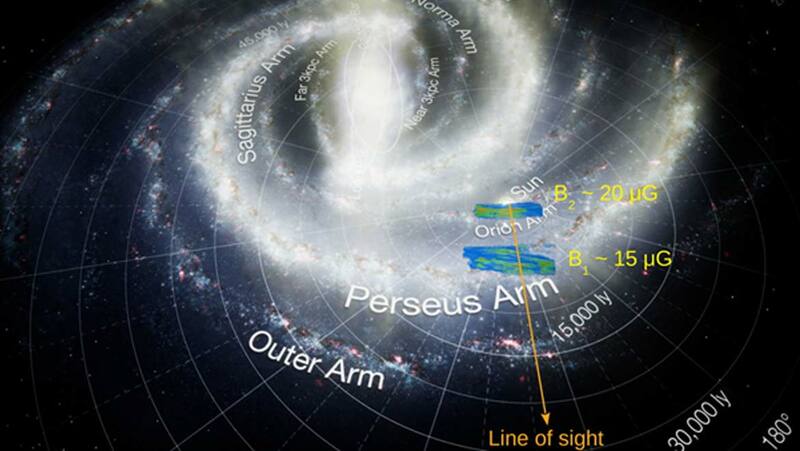 What does the Milky Way really look like? The truth is that we only have the vaguest idea. Astronomers and astrophysicists have been able to study certain objects and bodies (e.g., stars, planets, and asteroids) in detail, when they have managed to send probes into their vicinity or were lucky enough to be in a good position on Earth in order to get quality signals from equipment such as telescopes. However, in truth, they have not been able to put this work together to report much more than generalities about the nature of the galaxy as a whole. These scientists are reasonably certain that our home galaxy is one of the barred-spiral variety, measures about 100,000 light-years in diameter, rotates at hundreds of thousands of miles per hour, maybe 13 billion years old, and has a central black hole called Sagittarius A*. However, there is so much else we do not know. Figuring out more about the galaxy’s evolution and formation would tell us a lot about this, and where it is going in the future. Unfortunately, forces far beyond Earth often prevent researchers from accessing this information in detail. What is Stopping Us From Studying the Universe in More Detail? This situation is a shame, as our solar system’s position could be at a fortuitous vantage point from which to observe the Milky Way. We think of ourselves as sitting close to the edge of an ‘arm’ of one spiral, which is why we can see the rest of the galaxy as a sort of dense band in our sky. Unfortunately, the same sky has been reported to be fraught with factors that prevent us from studying the signals associated with the origin of the universe. These confounders are cosmic dust, as well as the galaxy’s own magnetic field. Cosmic dust is made up of micro-particles that are thought to float ubiquitously throughout the galaxy, sometimes in great clouds. They have demonstrated the ability to throw astronomical instruments off or create misleading readings or feedback that can destroy a dataset. The galactic magnetic field can have similar effects. This is a common obstacle in the field of astrophysics, particularly as it relates to the beginning of the universe. Accordingly, Dr. Aris Tritsis from the Australian National University’s Research School of Astronomy and Astrophysics (ANU-RSAA) set out to measure this influential field. This aim has a lot of advantages for his work, including the fact that once the magnetic forces involved are quantified, they can be corrected for in other studies of ‘universal origin’-related signals. In addition, this work could lead to findings that confirm the mechanism by which this field is generated and how it was created in the first place. Its influence on objects within the galaxy can also be assessed. What Is Outer Space and How Do We Study It? Dr. Tritsis, together with a colleague from the ANU-RSAA, Christoph Federrath, as well as Associate Professor, Vasiliki Pavlidou, from the University of Crete, worked on the elucidation of the magnetic field in a specific area of space, in the direction of the constellation, Ursa Major. These were two distinct ‘clouds’ of actual outer space (or the ‘atomic interstellar medium’ between larger and more defined bodies) extending away from Earth and towards the stars in question. Dr. Tritsis was able to conduct this by relating his previous observations of clouds of gas, which are thought to be relatable to the interstellar medium, and the thin, linear striations that are a sort of subunit of these entities. They are aligned with the magnetic field that is applied to them and are thought to be formed as a result of rapid magneto-sonic waves. The technique to do so was developed by Tritsis and another group in 2018. When this team applied it to ‘their’ two clouds, they were able to calculate the strength of the magnetic field along two directions: line-of-sight (LOS, along which the clouds’ fibers ran) and plane-of-sky (POS). The LOS’ magnetic field strength, taken at an angle of 50 degrees, was found to be between approximately 10 to about 20 micro-Gauss (μG). The POS’ value came in at approximately 15μG. These values may not sound like much. 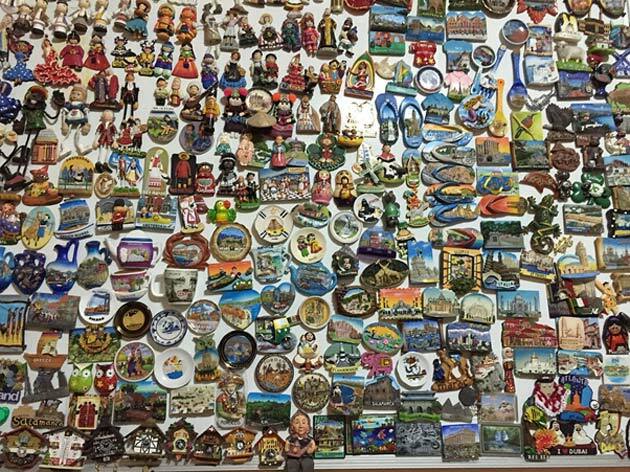 In fact, they are indeed about 10 million times smaller compared to the average fridge magnet. However, they also span as much as hundreds of light-years within the clouds, and are therefore, highly relevant to the galactic magnetic field as a whole. They were also regarded as greater than expected, based on previous studies in which the magnetic field strength of the whole galaxy had been estimated. The Tritsis team were also able to generate a three-dimensional map of the portion of the overall magnetic field as it passed through the two clouds. This work has been accepted for publication in the Astrophysical Journal, in which the three authors now assert that they can apply their technique to the generation of a whole-galaxy magnetic field map. The researchers now also propose that this work will also lead to an improved method to quantify and study the cosmic rays that also travel throughout the galaxy. Cosmic rays are streams of particles that are thought to be associated with greater energies than anything humans can create on Earth – facilities such as CERN and fusion reactors notwithstanding. They may have a negative effect on measurements taken from Earth, yet can offer an insight into the early universe, particularly in terms of where, why and how they originated. Cosmic rays may also be able to inform high-energy physics. Therefore, the ANU/Crete team now recommend that their new galactic magnetic-tomography protocols should also be applied to their study. All in all, this could also lead to a more sophisticated understanding of our galaxy and how it came to be.